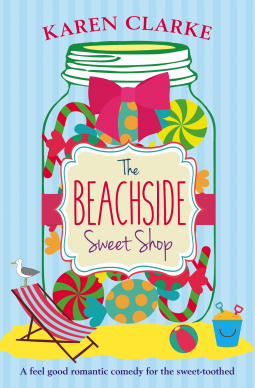 Chocolate fudge, butterscotch and raspberry bonbons… treat yourself to some sugary treats, a big slice of friendship and a sprinkling of romance at The Beachside Sweet Shop. When Marnie Appleton inherited a sweet shop from her grandfather she was determined to do his legacy proud. The shop has been a much-loved feature of the little seaside town of Shipley for years, but now Marnie needs to bring it up to date, and she’s recruited gorgeous new assistant Josh to help. Marnie gets busy redecorating the shop and choosing delicious new sweets to stock, but things are never that simple: new neighbour Isobel, a fame-hungry blogger, is on a crusade against sugar, and she’ll go to any lengths to secure bad publicity for Marnie’s shop. Marnie fights back with homemade sugar-free treats, but with her best friend Beth heavily pregnant, her grandmother Celia recovering from an operation, and her very recently ex-boyfriend Alex returning to Shipley with a new love, Marnie has a lot on her plate. And then there’s Josh, with whom Marnie is struggling to keep her relationship strictly professional…Will both the sweet shop and love flourish? Those who are long time readers here at afternoonbookery will know that a beach, coffee,sweet,shop,b&b books are straight to the top of my list, so when i spied this newbie on netgalley - i knew it was going to be a perfect summer time read for me. Oh it was. We meet Marnie, who is stuck at home - running the beachside sweet shop aspiring to travel the world with her ex, but the universe had other plans for her, with relatives ill and no one else to run the family shop, it falls to Marnie. Beth has other plans for the sweet shop though - and when Marnie wins an unexpected award (all arranged by Beth!) 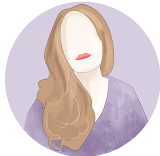 its time to fix up the sweet shop, but not everyone believes that a sweet treat is a good thing, when newbie mum blogger Isobel turns her sights on Marnie, can the sweet shop handle her smear campaign? Throw in some new eye candy to help heal the heartbreak and you have a recipe for something all together sweet and full of sugar. that keeps the reader interested in where the narrative is going. My heart really went out to Marnie and i just wanted all to be right in her world, i was rooting for her all along. The characters are well built in a fantasticly descriptive little village that really feels like home, that despite all the drama from the yummy mummys you know the older dears only have your best interest at heart. This was the perfect summer pick me up, and one for those with a sweet tooth. This sounds like such a sweet read! I'm glad you enjoyed it; great review!